Another big week in footy for followers of all codes – including a bigger than expect turn out for the AFL Womens Grand Final on Sunday on the 7 Network. The AFL continues to hold steady, NRL ratings stay slightly short of last years figures, the A-league continues stay low, while Union might be on the rise.. Here we break down all the ratings, including those pesky AFL splits on Saturdays and Sundays. Top rating game over this weekend overall was Friday nights AFL clash at 1.073 million. Thursday nights AFL game led the FTA charge at 839k, it was Saturdays NRL that delivered on Fox with 267k. 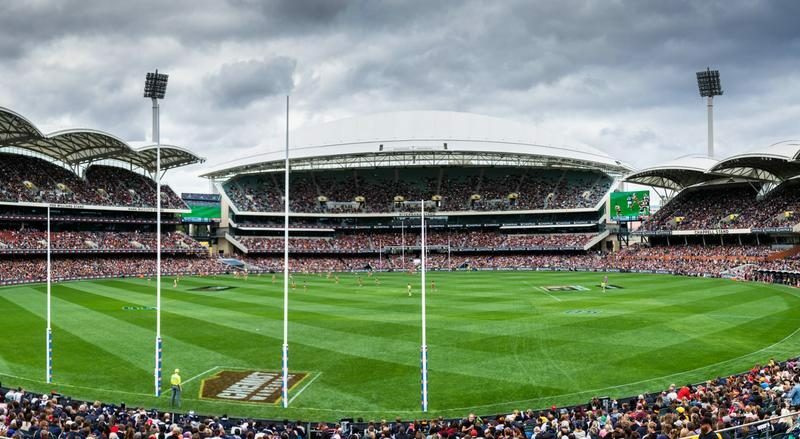 Round 2 of the 2019 AFL Season finished with good ratings being reported by Seven for both Hawthorn v Western Bulldogs and the AFL Womens Grand Final. A total of 4.549 million viewers watched the mens footy over 9 matches with 2.996 million watching on Seven/7mate and 1.553 million watching on Foxfooty or Foxsports. Friday nights Sydney v Adelaide clash was the top drawer with 1.073 m total viewers. The AFLW Grand Final attracted 409,000 viewers nationally (+71% on 2018). This included 321,000 in the metro areas (+58%), broken down into the following – Sydney 20k, Melbourne 154k, Brisbane 23k, Adelaide 91k, and Perth 33k) The womens finale rated 88,000 regionally. Round 3 of the 2019 NRL season finished with a lacklustre Sunday afternoon on Nine, rating 460,000 nationally for its match of the day featuring Wests Tigers and the Bulldogs. A total of 3.721 million viewers watched NRL games live during Round 3 with 1.84 million watching on Nine or GEM and a further 1.88 million watching on Foxleague. Thursday nights Brisbane v St George clash was the top rating NRL match of the round at 997,000 viewers across Nine and Fox. NRL Ratings at the end of Round 3 are up 19% in Sydney but down -1.5% in Brisbane. the GEM markets including Melbourne, Adelaide and Perth are down 18.55% on 2018 leading to an overall metro downturn on FTA of 1.2%. To make matters worse for Nine, Regional ratings are down 14%, with FTA ratings finishing Round 3 down 6.5% overall to an average of 482,000. Foxleague ratings are having a minor hiccup down 4.2% to an average of 239,000. Nine also reported that total VPM on 9NOW was 2.4 million minutes, with average VPM up 120% on Round 3 last year. Round 23 of the 2018-19 A-league finished with no rating being reported for Sundays Central Coast v Adelaide match on Foxtel. However the previous 4 matches for the round rated a total of 88,000 with Saturday nights top of the table blockbuster reeling in 34,000 viewers in the late slot. With several matches not having broadcast ratings publicly reported this season, from 97 out of 115 ratings fixtures we can say the average Foxtel rating for the A-league stands currently at 36,000. No FTA rating was reported this week, and hasnt been for almost a month since the ABC quoted Greg O’Rourke as saying the FTA ratings were about 75,000 on average.